BAGUIO CITY – Peace and autonomy advocates from the different parts of the region will gather at the Philippine International Convention Center (PICC) in Pasay City on Thursday, September 13, 2018 to celebrate the 32nd anniversary of the historic Mount Data ‘sipat’ and continue knocking at the doors of the House of Representatives and the Senate to pass upon pending proposed bills seeking for the establishment of an Autonomous Region in the Cordillera (ARC). RDC-CAR vice chairperson and National Economic Development Authority – Cordillera Administrative Region (NEDA-CAR) regional director Milagros A. Rimando pointed out the gathering aims to update the concerned stakeholders on the state and gains of the historic peace process, update the stakeholders on the status of the region’s renewed quest for autonomy and the initiatives that were put in place, and raise consciousness and gather insights or collective aspirations of the stakeholders’ relative to Cordillera autonomy. “We will try to advance our gains in our clamor for autonomy with the support of our peace and autonomy advocates, together with our increasing number of partners,” Rimando stressed. Expected to attend the gathering are local leaders, private sector partners, elders and other peace and autonomy advocates from Abra, Apayao, Benguet, Baguio City, Ifugao, Kalinga and Mountain Province. It can be recalled that on September 13, 1986, former President Corazon C. Aquino and Fr. Conrado Balweg of the Cordillera Bodong Administration – Cordillera Peoples Liberation Army (CBA-CPLA) entered into the historic ‘sipat’ that ended the hostilities between the armed group and governments forces in the region. The ‘sipat’ or peace agreement also resulted in the issuance of Executive order (EO) No. 220 on July 15, 1987 that created the Cordillera Administrative Region composed of the provinces of Abra, Benguet, Mountain Province and Baguio City from Region I and the provinces of Ifugao and the then Kalinga-Apayao from Region II with three major functions, particularly to administer the affairs of the government in the region, to accelerate the socio-economic development of the region and to prepare the region for autonomy. 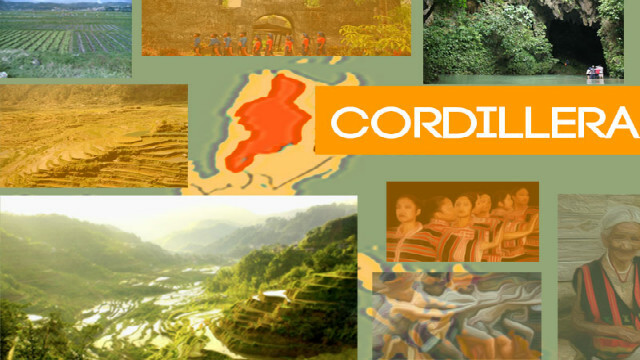 Cordillerans overwhelmingly rejected the two attempts to achieve autonomy because the contents of the first Organic Act did not reflect the clamor of the people, while there was no material time to inform and educate the Cordilleras when the second autonomy law was submitted to them for ratification during a plebiscite. In 2006, the RDC-CAR embraced autonomy as its overarching agenda to advance the socio-economic development of the region primarily because the regional government will be able to craft policies, programs, projects and activities suitable to the prevailing condition in the region and not to adhere to national standards imposed on all regions.